AMD's separating its healthier GPU business from its struggling CPU business. The company announced Wednesday morning that it was creating a new Radeon Technologies Group that would, essentially reconstitute ATI (the graphics company it acquired in 2006) inside of the CPU company. The move, company officials said, is designed to give the new graphics unit more autonomy to respond to the new needs in VR and AR, as well as support traditional gaming markets. “We are entering an age of immersive computing where we will be surrounded by billions of brilliant pixels that enhance our daily lives in ways we have yet to fully comprehend,” said AMD CEO Lisa Su. Why this matters: AMD purchased graphics company ATI in 2006 and has long worked to meld the GPUs with its CPUs, without much success outside of game consoles. By creating the new Radeon Technologies Group, it would appear the company has decided the graphics company would be better off with more autonomy to pursue new opportunities farther afield from AMD's core business. 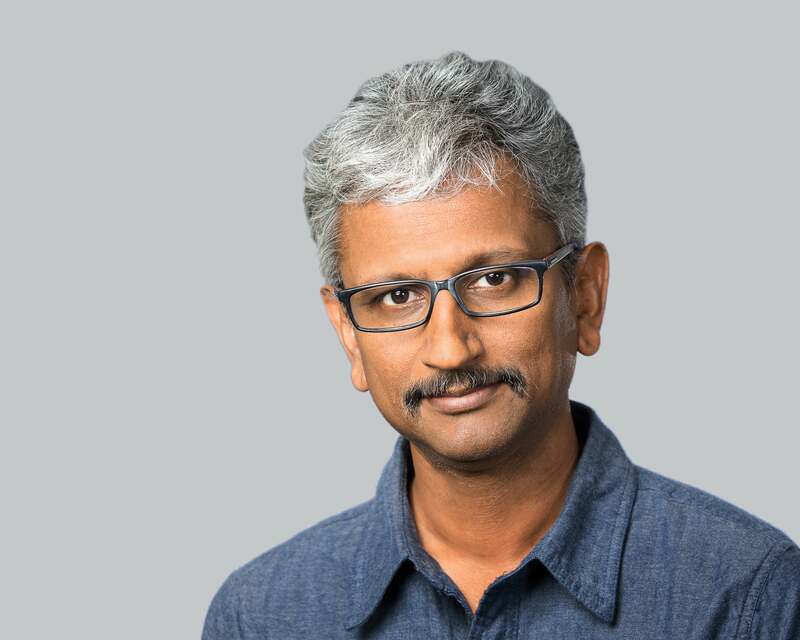 Su said long-time graphics hand Raja Koduri would be promoted to Senior VP and Chief Architect and helm the new group. Koduri will report directly to Su and oversee all of the graphics used in AMD’s graphics cards, semi-custom and GPU compute products, as well as its APU chips, which combine graphics and CPU functionality. Koduri’s statement in the press release interestingly reads as a call for people to join up—this from a company that has announced wave after wave of reductions over the last few quarters. The realignment comes after a particularly bad quarter for the Sunnyvale, Calif.-based company. It issued a warning in July saying second-quarter revenues would fall by 8 percent. AMD also gave up discrete graphics market share to Nvidia and saw its piece of the pie shrink to 18 percent, while Nvidia's climbed to 81.9 percent. Overall graphics cards sales have been on a downslope too, according to JPR, with sales falling 16.8 percent when all PC sales are considered. The one bright spot, JPR noted, is an increase in enthusiast and gaming spending, which the firm said “bucked” the slump in graphics sales in mainstream computers. High-end graphics cards, such as Nvidia’s GeForce GTX 980 Ti, have actually had a halo effect on Nvidia, which has continued to report healthy earnings. That would point to a simple formula of “if you make it better, gamers will buy it,” which AMD is now following again. To outsiders, AMD seemed more intent on bundling free games to boost sales and slashing prices, rather than introducing new GPUs. That dry spell ended recently with its new Fury cards. Sales figures for AMD’s latest graphics cards haven’t been disclosed, but reviews of its Fury X and Fury have been mostly positive, which usually leads to increased sales. Koduri’s graphics chops are well known to those in the industry. He started with graphics firm S3 before moving to ATI. After ATI’s purchase by AMD in 2006, Koduri eventually became AMD’s CTO in charge of graphics technology. He left AMD for Apple in 2009, where became director of graphics architecture and helped implement such graphics-oriented items as “retina” in laptops. Koduri’s name may not be on the lips of the average gamer, but his return to AMD in 2013 was important enough that it merited coverage by enthusiast PC hardware sites such as Anandtech.com and The Tech Report. Anandtech.com's report even proclaimed "The King is Back." Both sites at the time said any influence Koduri would have on AMD’s graphics roadmap wouldn’t materialize until 2015, which would give some credit to Korduri for the current Fury cards. 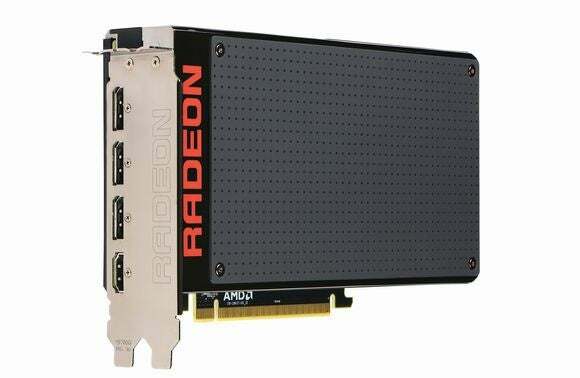 The new Radeon Technology Group is unlikely to stem the rumors and speculation that have hounded AMD this year though. In fact, they may even feed it. Citing unnamed sources, KitGuru.net reported in June that Microsoft was interested in purchasing AMD, which it could do for a pittance at $1.81 billion. One reason cited by KitGuru.net would be overall savings on processors for its Xbox One. AMD holds the custom contract for both the Microsoft's Xbox One and Sony's PS4. Neither Microsoft nor AMD would comment on the rumor. Rumors have also heavily circulated that AMD would be tapped for the processor in Nintendo's new console too. Perhaps more prescient, though still off-target, was a report by Reuters in June that AMD was mulling a split-up or even a sale of the graphics unit, which it had originally purchased for $5.4 billion. Pooling all of the graphics control in software, hardware, and IP into one corner of the table is reason to cause suspicion. Today's news, however, simply positions The Radeon Technologies Group as a realignment of AMD internally. Anyone used to corporate bureaucracy knows such a move removes layers of decisionmaking that can an impede forward progress, so AMD may simply be recognizing that its one ace in the hole these days is in graphics.